The Nursing Program’s mission is to serve the needs of society by offering an excellent education exemplifying the highest standards for nursing practice. Nursing is both an art and a science providing a human service. The core values of respect, integrity, compassion and excellence are imbedded throughout the curriculum as the foundation for providing care to all. The philosophy and objectives of the school guide the planning, implementation and evaluation of the curriculum and the services provided by the school. The Faculty believes that human beings are endowed with personal dignity and worth. Each person is considered an individual with distinct capabilities and potentialities. Each individual is exposed to varying elements from the world in which we live. Accordingly, each person acts and reacts within the existing milieu dependent upon individual characteristics related to physiological, psychological, spiritual, socio-cultural and environmental predisposition and occurrences. The Faculty believes that nursing is an art, science and human service. Nursing is defined as the diagnosis and treatment of human responses to actual or potential health problems. The goal of nursing is to direct the individual towards responsible self-care. When an individual's needs are beyond one's ability to provide for self, nursing intervenes by assisting or providing actions to meet the individual's needs. Therefore, nursing assists the individual to attain and maintain optimal levels of cognitive, physical, emotional, social and spiritual health. The Faculty believes that nursing education is a stimulating process through which a student acquires knowledge, skills and attitudes enabling the learner to reach individual capabilities. The Faculty believes that each individual has a unique learning style, preference for study, rate of learning, degree of involvement in the learning process and the ability to transfer learning from one situation to another. The Faculty believes that the student learns more effectively when provided with outcomes for evaluating progress. Teaching emphasis is on the nursing process, the framework for practice which enables the students to become self-directed, active learners. 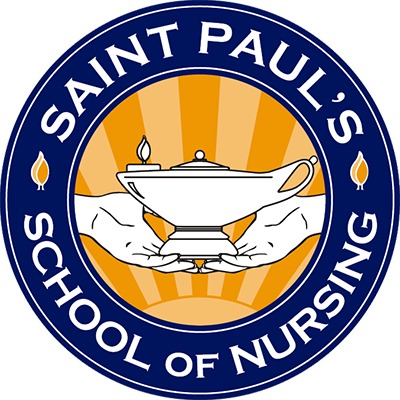 The Faculty believes that the content of nursing courses builds upon content from the liberal arts as well as the biological, physical and social sciences. The graduate nurse must demonstrate critical thinking skills, accountability and responsibility based upon a progressive educational foundation. The Faculty believes that students utilize knowledge and standards to guide and assist clients toward achievement of specific health goals. Although the role of the Associate Degree graduate is multifaceted, its universality exists primarily within the scope of the nursing process. Applications, conditions and circumstances may create diverging responsibilities and obligations, but the fundamental principles upon which the practice of nursing exists remain constant. The role of the graduate nurse includes ongoing expansion of knowledge and expertise necessary to provide quality care in an ever-changing climate. The Faculty believes that trends in nursing are directly linked to an ever-changing economic, technological and multicultural environment. The Faculty defines community as people with diverse characteristics and needs. The health needs of the community strongly influence the education process. Through participation in primary, secondary and tertiary care facilities the students are able to attain a broad perspective of the health care needs of the community. The Faculty believes the School of Nursing prepares the Associate Degree graduate to function as a competent member of the nursing profession by providing care to patients across the life span in structured care settings. The Faculty believes that students prepared at the Associate Degree level participate in the growth and development of the profession. Through collaboration, integration and communication every graduate nurse facilitates the evolution of the profession. Research, practice, service and education all contribute toward the effectiveness of the Associate Degree Nurse.